London, Feb 16 : Engineers have created the world's very first ticklish car which "giggles" when touched at sensitive areas. The new Toyota Yaris with a "TICK LME" number plate, which was unveiled for Red Nose Day, reacts to touch by lighting up and flashing its headlights and indicators, spraying water from the windscreen washer fluid spouts and moving as if it was chuckling, in addition to a laugh recorded by Red Nose Day legend Lenny Henry, the Daily Star reported. Mr Tickle from the Mr Men series, who unveiled the red hatchback and is the celebrity consultant on the project, said that he was "tickled pink" to be part of the innovative project. Chennai , Feb 12 : Luxury car manufacturer Rolls Royce on Thursday officially launched its latest model, the Ghost Series II. With this, the Tamil Nadu capital has become the first city in South India where the car has been launched. "Basically it's an evolution to Ghost Series I and there is quite a few changes to the car-exterior wise interior wise and also technology wise," said Rolls-Royce Motor Cars Ltd, Asia-Pacific, general manager Sven J Ritter, while launching the car. He added that the super luxury car maker was yet to decide on entering the sports utility vehicle segment. The Ghost Series II was launched in the rest of the country in November. Washington, Dec 31 : Samsung is preparing to launch its first new all-in-one desktop computer Ativ One 7 Curved that will have a curved screen just as its TVs. Samsung has already been offering laptops and Chrome books. The idea of the Ativ One 7 Curved with 27-inch all-in-one, came partly from Samsung's TVs that already have curved screens, reported PCWorld. The new desktop would look like a 27-inch curved TV, with all the PC components at the back of the monitor. As with TVs, the curved display could provide a more immersive gaming and entertainment experience than conventional monitors, said David Ng, product manager at Samsung. New Delhi, Dec 18 : Honda has launched the new CB Unicorn 163cc in the Indian market for a starting price of Rs. 69,350 (ex-showroom, Delhi). Keita Muramatsu, President and CEO, Honda Motorcycle and Scooter India Pvt. Ltd., said that the New CB Unicorn 160 is Honda's fourth launch of 2014 after Activa 125, CD110 and Gold Wing and with this launch, Honda is further strengthening its portfolio in 150cc-180cc motorcycle segment, designed to woo the youth. 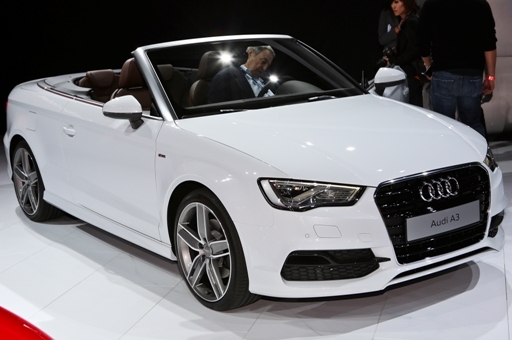 New Delhi, Dec 11 : German Luxury car manufacturer Audi India on Thursday launched its compact luxury convertible, the A3 Cabriolet, priced at Rs. 44.75 lakh (ex-showroom, Delhi). The A3 Cabriolet is a 4-seater two door car with a soft top fabric hood which opens and closes in less than 18 seconds, up to a speed of 50km/h. "The launch of the Audi A3 Cabriolet, the first compact luxury convertible in India, is yet another example of our Customer-Centric approach. Skillfully blended with a unique body style and distinct design cues, the Audi A3 Cabriolet makes a perfect lifestyle statement," Joe King, Head, Audi India said at the launch. 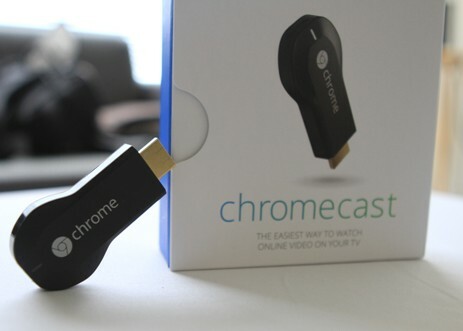 Washington, Dec 10 : Google has launched its Chromecast streaming device in India, in a move seen as an attempt by the internet giant to tap into the growing consumer market in the country. The device which resembles a USB flash drive and allows users to stream videos from the internet to a television from a laptop, phone or tablet is currently available in ten countries, including the United States, Germany and Denmark. According to CNET, the expansion to India is only Google's latest effort to gain traction in the country, an important region as tech giants in the United States aim to extend their reach to emerging markets. New Delhi, Nov 3 : Maruti Suzuki on Monday unveiled a new version of its entry-level model Alto with automatic gear shift technology, a feature usually reserved for pricier cars in the market. Cars with automatic transmission have the potential to be popular in a India due to poor condition of roads and traffic snarl-ups. Priced at Rs. 380,187, Alto K10 is the cheapest car with automatic gear shift. Managing Director and Chief Executive Officer (CEO) of Maruti Suzuki India (MSI), Kenichi Ayukawa, said Alto K10 is the company's bestselling brand in Indian markets. 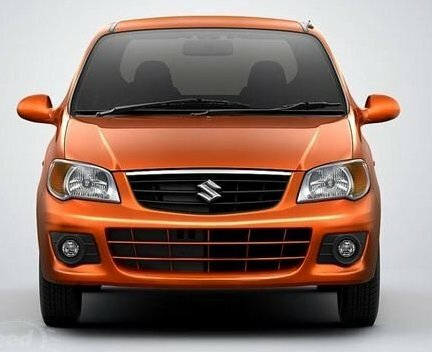 New Delhi: With an eye on reviving growth in its bread and butter mini car segment, the country's largest car maker Maruti Suzuki India will launch a new version of its Alto K10 on Monday. 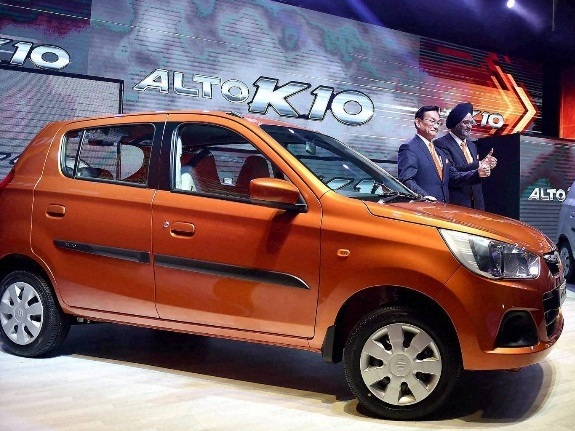 After the Celerio, the Alto K10 will be the second model to be equipped with auto gear shift (AGS) feature. While the petrol version delivers a mileage of 24.07 km per litre, the CNG variant will have a fuel economy of 32.26 km per kg. It will have six different variants and the AGS option will be available only with the top end. Tokyo, Oct 26 : Fujifilm launched its new instant camera on October 23, incorporating the charismatic icon "Hello Kitty". 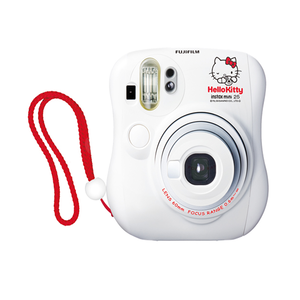 The iconic Hello Kitty Instax is celebrating the 40 year anniversary of Hello Kitty and 80 years anniversary of Fujifilm. The figure of Instax resembles the face of Hello Kitty and this pretty figure will attract all Hello Kitty fans all over the world. Fuji film is aiming to achieve sales target of Instax between 3 million to 3.5 million for the financial year. The use of Instax camera started from East Asian countries and spread to USA and Europe. Bangalore/Kolkata/Mumbai, Oct 17 : Apple Inc unveiled its eagerly awaited new iPhone series in India on Friday, drawing an amazing response, as Apple fans gathered outside retails stores across the country to buy the new smartphones. Apple began the sale of iPhone 6 and iPhone 6 Plus at midnight for the first time in India, in line with the practice it follows elsewhere. The launch in India came nearly a month after the global launch of the latest version of the iconic phones. 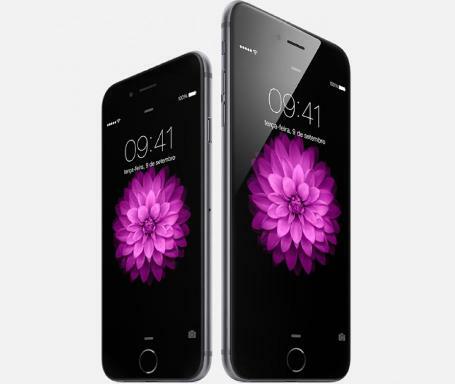 Both iPhone 6 and 6 Plus are available in 16GB, 64GB and 128GB variants. While iPhone 6 has 4.7-inch screen, the iPhone 6 Plus comes for 5.5-inch screen. San Francisco/New Delhi: Signalling the growing importance of the Indian sub-continent for the search giant, Google may unveil its latest devices -- Nexus 6 and Nexus 9 -- here as as early as November along with the US and other developed markets. Google has announced the new devices a day ahead of rival Apple, which is hosting a conference on October 16. Reports suggest that the Cupertino-based firm could unveil its latest iPad. 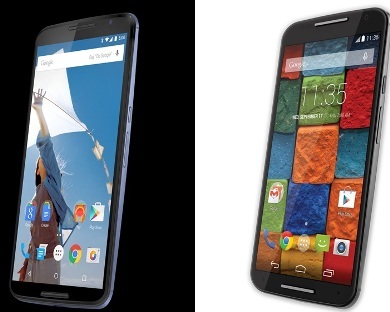 The Nexus 6 smartphone has been developed by Motorola and will be available for pre-order in late October and in stores in November. Washington, Sep 30 : HP is preparing to launch a 7-inch HP Stream 7 tablet and an 8-inch version for as less as 99 dollars and 149 dollars respectively. According to The Verge, the tablets are likely to be very low specification devices, but Microsoft is also offering a year-long subscription to Office 365 Personal with 1TB of OneDrive storage and 60 minutes of Skype calls each month. With the release of low cost tablets and laptops, HP seems to have joined Microsoft's Chromebook and Android assault. 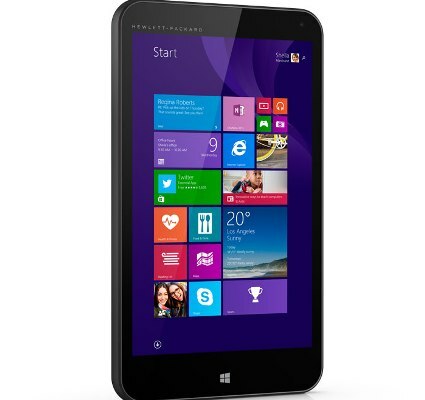 HP's 8-inch tablet also includes 200MB of free LTE data each month with no contract for the life of the device. Washington, Sep 24 : Samsung is planning to hasten the launch of the new Galaxy Note 4 phablet, after the massive success of Apple's iPhone Plus. A Samsung employee said the positive reaction from consumers to those two Apple devices prompted us to launch the Note 4 earlier than previously scheduled, The Mashable reported. The Galaxy Note 4 was originally slated for release in October, but its Korean launch is planned to be pushed up to September 26 in response to the Apple sales surge. New Delhi: German luxury car maker Audi on Thursday launched Audi Q3 Dynamic with Audi drive select in the Indian market priced at Rs 38,40,000 (ex-showroom Mumbai). The Audi Q3 is the largest selling luxury SUV in India and this new addition will further strengthen the brand's dominance in the luxury SUV segment, the company said in a statement. Washington, Sep 5 : Nokia unveiled the Lumia 730, which would be a treat for the selfie lovers with its 5MP front camera and outstanding features. The front-facing camera is the USP of the phone, with a wide-angle 5MP camera. Once you click a picture, the camera will use face detection to automatically correct the exposure to ensure one will stand out. Nokia has also added several features into the camera app, including a creative magazine-cover filter, complete with cover lines. Washington, Sep 5 : Nokia on Thursday unveiled the Lumia 830, touted as the affordable flagship phone with high-end features at the IFA 2014 technology show held in Berlin. The 5-inch Lumia 830 carries over a lot of the high end design of the Nokia 930 and Icon models, with a metallic trim on the edge that makes the phone easier to hold. The removable back is colored polycarbonate, and it's colored on the inside, too, meaning if you scratch it, it won't ruin the color, the Mashable reported. New Delhi: Hyundai Motor India Ltd on Wednesday launched 'SportZ Edition'of its compact car Grand i10 to celebrate its first anniversary. The Grand SportZ variant would available in two variants -- U2 1.1 litre CRDi diesel engine and 1.2 litre Kappa petrol engine. Launched in September 2013, Grand i10 has been sold to over 1.1 lakh customers, Hyundai Motor India Ltd (HMIL) said in a statement. Grand SportZ Petrol is priced at Rs 5.11 lakh (ex-showroom Delhi) and Grand SportZ Edition Diesel Rs 5.98 lakh (ex-showroom Delhi). Noida (Uttar Pradesh), Aug 28 : A paragon of sporty dynamics, premium ambience and robust agility, the new BMW X3 was launched today at Deutsche Motoren, the BMW dealership in Noida. The new BMW X3 is locally produced at the BMW Plant Chennai in a diesel variant and is now available at BMW dealerships across India.